For many people motorcycles are an exciting form of travel. With today’s current economy motorcycles are becoming increasingly popular. They have the ability to navigate through fast traffic and cost less and for these reasons motorcycle becomes a choice that many decide to go with it. When you decide to get a motorcycle the most important thing is the helmet. There are number of reasons why the helmet is important. The first reason for putting a helmet is for protecting your head that is it protects your head from getting into injuries. The nature of the motorcycle already makes itself very dangerous if you get into an accident so additional protection is needed. Motorcycle is moving so fast and it is so risky and due to having little mass as compared to the cars if it hits a car a person almost guaranteed to death as the motorcycle will go out of control as well as the car has a lot of mass. So putting a helmet will reduce the chances of serious injuries that may occur during any type of accident. Another reason for putting a helmet is the wind. When you are riding the motorcycle the wind coming towards you will be strong and the helmet will usually have a shield that covers your face so the wind does not bother you while you are riding the motorcycle. 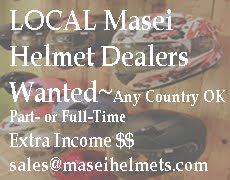 There a number of brands of motorcycle helmets available in the market. 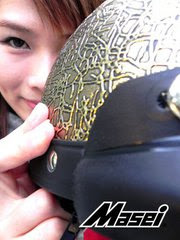 Some of the most popular brands are: Shoei, HJC, Arai and Shark. For a sport bike most people prefer a full faced one like a Shoei or Arai. 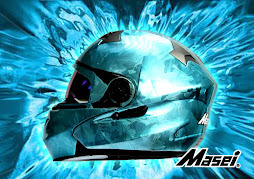 Colour, appearance, and graphics are an important part for purchasing the helmet. 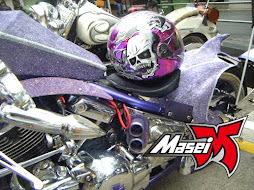 Many people love to buy a helmet that matches their style. Quality should be your first option when choosing any motorcycle helmet. Always ensure that the motorcycle helmet you buy is certified. Good read! Thanks for the posting. Definitely agree! It can be extremely dangerous.